HOT Deal !!! 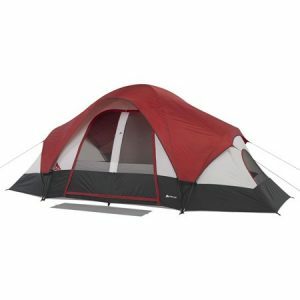 Ozark Trail 8-Person 16 ft. x 8 ft. Family Tent with Built-in Mud Mat for $49.95 !!! reg price $90 !!! Gear up for your next outdoor adventure with this Ozark Trail 8-Person 16 ft. x 8 ft. Family Tent with Built-in Mud Mat. Easy to set up, it’s made of high-quality, weather-resistant material. This Ozark Trail camping tent features five extra-large windows for comfortable ventilation and a mesh roof for star-gazing at night. Fisher-Price Rainforest Jumper for $49.88 + FREE in store Pickup!! reg price $100!! Ozark Trail 20-Ounce Stainless Steel Double-Wall, Vacuum-Sealed x2 Tumbler Value Bundle for as low as $6.52 + FREE in store Pickup!! !